An ideal low loss, compact coupler that measures 1.5 X 0.95 X 0.50". This newly developed 150 W CW Coupler is ideal for compact modules and is used as a drop-in component, with tabs. Designed for military and commercial environmental conditions. An ideal low loss, compact coupler that measures 1.5 X 0.95 X 0.50″. 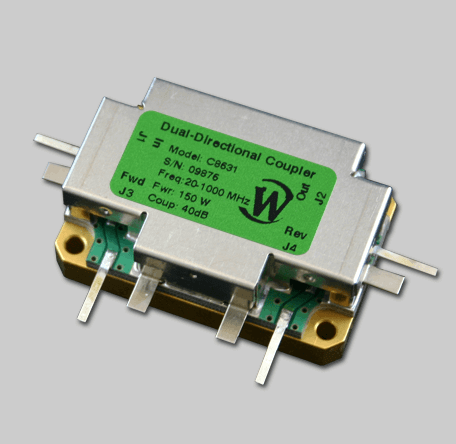 This newly developed 150 W CW Coupler is ideal for compact modules and is used as a drop-in component, with tabs. Designed for military and commercial environmental conditions.